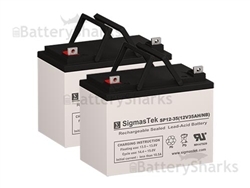 Cold Cranking Amps are a unit of measurement commonly used to compare different types of SLA battery. This unit refers to the amount of current batteries will provide when at 0 degrees Fahrenheit. 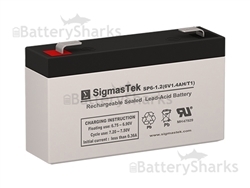 The current must be held for half a minute and the charge delivered must be at least 1.2 volts for each cell. You may need to know about cold cranking amps when troubleshooting a starting battery in a vehicle or a motorcycle battery. What Exactly is a Cold Cranking Amp? You can think of a cold cranking amp as the amount of electricity necessary to start a motorcycle, car or other vehicle when the engine is turned off (or cold). 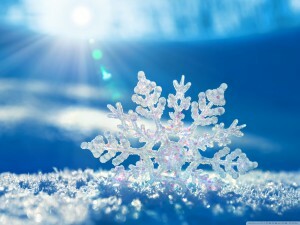 Depending on your vehicle’s engine and the actual temperature of your environment, you may need more or less than the average amount of cold cranking amps. Without enough cold cranking amps, the vehicle will be unable to start. If you don’t have enough amps, the vehicle may have issues getting started when it is colder; the colder the weather gets, the harder it will be to start the battery. What Should You Know About Cold Cranking Amps? When you’re purchasing a battery for your vehicle, you need to look at the cold cranking amps rather than the hot cranking amps or cranking amps to compare the batteries. Further, if you live in an area that is unusually cold, you should get a battery that has more cold cranking amps than necessary. If you find that your vehicle or motorcycle is struggling with your current battery charge, this may be the issue. Apart from cold cranking amps, you also need to consider the reserve power in the battery. 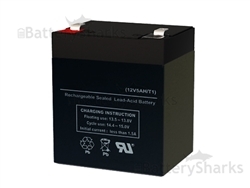 It isn’t harmful to get an SLA battery for your vehicle that is above the requirements. You should, however. never get a battery that is below the cold cranking amp requirements for your vehicle. If you often take brief trips in your car and sometimes have trouble starting it, you might also consider purchasing a battery with a larger reserve capacity. Otherwise, the battery may not be able to charge up all the way at the end of your short trips and you could eventually drain the battery entirely. I would like to thank you for the effort you have put into publishing this post.